This post will only focus on positive field effect that you can set on your side during pve quest EXCEPT 40c quest, and the stats that are directly boosted by them ( so no talk about uni lock or idk wut other stuff, and no focus on stats boost and cost recovered while matching, and it's pve only so no talk about reducing other element unison attack and great spirit damage too ). The other main reason I am doing this post is because there is way too many people who don't seem to understand how elements and stats buff from warlord work, and who just brainlessly throw fire (4ap quest) or water (xmas event) warlord right after my time warlord (over 1-2 sec after my uni showed up, so they had time to see it), and that's seriously sad for a lot of reasons. During hemera quest (light 33c mobs) someone even told me that time is weak vs light right after I throwed my time warlord (there were no current field effect), I asked if this person was joking but I had no answer (and seemed serious sadly). Nyway, this is for those who want to level up by getting some random knowledge to help them choose the right uni to throw. anyone should agree here, Ariel Field effect is the current best one in the game, increasing all stats by 40%, all elemental atk (all elements) by 4 (compared to warlord who only boost their respective elemental atk), and max HP of all allies by 40%, this is just the best and you should focus on keeping that one up if someone got it in your party. both Ranmaru and Ieyasu boost ATK and MATK by 40%, wich is best for archer, lancer, TH, physical,magic,balanced berzerk, and good for mage, ok for soldier. Those two warlord buff the main damage stats of good damage class. Mitsunari is 30% on all stats, wich would be 10% less ATK and MATK than those two other warlord, but for a 30% DEF and MDEF boost, wich can help survive and is overall balanced for most quest, best for rook and cleric, good for all other class. Yukimura, Mitsuhide and Charlotte boost ATK and DEF by 40%, wich is best for soldier, lancer and physical berzerk, while Shingen, Mani, Kenshin and Chopin boost MATK and MDEF by 40%, wich is best for mage, magic berzerk and good for cleric. imo those are mostly last resort field effect if no one got better thing to throw, depending on your party setup. Yeah, it's finally testing time here, the point of this testing will be to show (or check) why using fire warlord in wind quest isn't alway the best to get higher damage. I probably need more testing to have the magic damage of circle snipe show an overall higher damage than without warlord, but at least the physical damage does show more damage than without warlord but less than with the fire warlord. 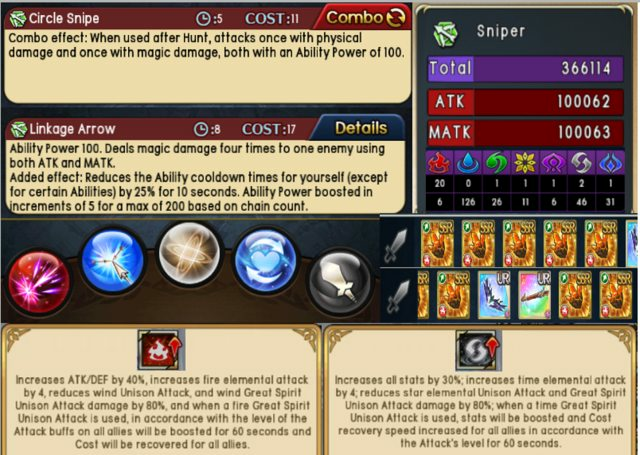 Linkage arrow does show a big step up on the damage, with hit possible of reaching 90-100k+, fully taking the 30% ATK and 30% MATK buff from time warlord instead of 40% ATK + 4 fire element from fire warlord. the strange points here (that I already did notice before testing) is that ATK+MATK skill happen to have a high jump in damage with ATK+MATK field effect, higher than a pure physical or pure magic hit, and keep in mind that here we see the difference between 40% ATK + 4 fire elements and 30% ATK + 30% MATK, wich mean that it would be even higher with a 40% both field effect. It kinda show that skill that are dependend on two stats seem to get a bigger boost from field effect compared to skill that only depend on one stats, it would need a bigger sample size to be sure tho..
Those data does show that fire warlord would be the best for physical class, but time warlord give a big boost to archer ATK+MATK skill, while still nicely buffing other class. keep in mind that I did this testing with 0 buff on myself, and with < only > 20 elements, because < end game > people would most likely have around 30 elements, and there could be elemental atk buff from other unison, the difference between 4 more elements vs 20-40% more stats on someone who already have like 40 elements with gear + in game buff would be way higher than that (in favor of the extra stats buffs). - can I use a better, more useful buff that will benefit the whole party instead of just making my damage higher for the lolz? -> mostly about tier 3 field effect here, there should be an higher importance for common buff instead of having 3 peoples throw warlord in a row ( stats buff, elemental atk buff, crit and crit rate buff, karma on boss/hard monster, barrier, rez, uni gain, cost,... ), there is just so many options to have everyone and you included do more damage, how could you only think about throwing your warlord over someone else? Hope that it will help some people make the right decision or close enought, and make them realize that there is more than just throwing the counter element field effect to have the best damage on everyone, it can mostly depend on your party so if you have 4 op soldier and 1 ok archer in a wind quest then yeah fire warlord would be better than time or wind/star warlord. keeping a good balance between stats and element is the best, having high damage stats but no element is a waste of potential, as you could easily have a big 50% damage boost by having 3-4 weapons with elements equiped, going full elements and low stats is worst, as buffing your elemental damage in quest will have less impact on you, an archer with 200k both and no element will do more damage after an elemental buff than an archer with 100k both and 20 elements. that's it for the math part, just so you understand how stats and elemental buff will affect you here, and that the extra elements you get from a field effect will first be added to all your current element, wich mean less impact the higher your current elemental attack is, so working on balancing your setup is the best. Last edited by niconutela; 04-06-2019, 06:40 AM. Like warlord and Ariel field, there can only be one in the enemy's side, so you most likely will have to watch out not to remove something useful with something that won't help much. 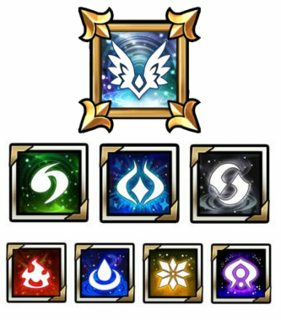 Edit : added clean icon from unison league wikia for both the green and dark blue icon. 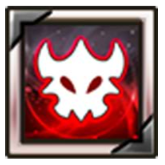 Edit 2 : collapse icon from JPUL spawn banner atm. note : Unison lock last for 120 seconds while Collapse last for 60 seconds, Boss field is only canceled while replaced by Unison lock or by a Collapse. Any field effect seem to cancel the boss field effect, but lock last for 120 seconds compared to 60 seconds for a collapse so they are safer. I will focus on two points : how much it contribute to the clear speed and survivability, those seem to be the two most important thing to take into account in pve quest, some hard quest might need to be done safer while some easy quest allow you to go full damage without caring much about your defense, some quest do have a clear time reward (like some collab quest or common quest like Kohzuchi, or even mobius for higher points). I will only focus on the field effect in this part (without taking the other skills effect of the monster used to cast the field effect into account). Main point would be to avoid replacing a collapse with an unison lock. There isn't a < best overall > collapse, it mostly depend on the quest and stuff, but Pain Collapse will help you a lot on the clear speed in most common quest while Deconstructive Collapse, Fictional Collapse and Deceleration Collapse will help you survive in harder quest. Keeping those enemy's side field effect is nice, but there might be time when focusing on the other skills of the monster itself might be better, so here I will just check those monster utility fast, and if it's mostly worth using at the price of replacing the current enemy's side field ( it alway depend on a lot of stuff so I will just check useful pve effect overall). That should be enought info on those Unison lock and Collapse field stuff for now, will most likely update if some new stuff happen. Fast TL ; DR would kinda just be < star monster with a Collapse are op > x) but now we have more monster with collapse so more choice on the element, Pollux and Castor are nice for damage with Pain Collapse (same for Sol as a fire monster), Nihal is good on damage with her kit and will give a nice survivability boost with her Fictional Collapse and Scar is good on survivability with his Deconstructive Collapse, Deceleration Collapse from Queen Dorje and Fictional Collapse from Vermis will help too on the survivability in very hard quest and Shefia is more than welcome with her Deconstructive Collapse as a wind monster. 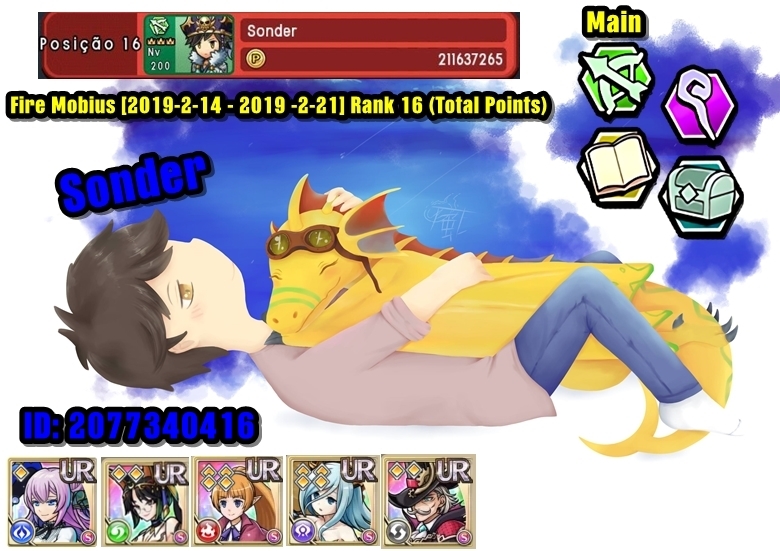 Last edited by niconutela; 04-18-2019, 02:49 AM. Very nice Niconutela! I see now why you said elemental warlords don't make that much of a difference. 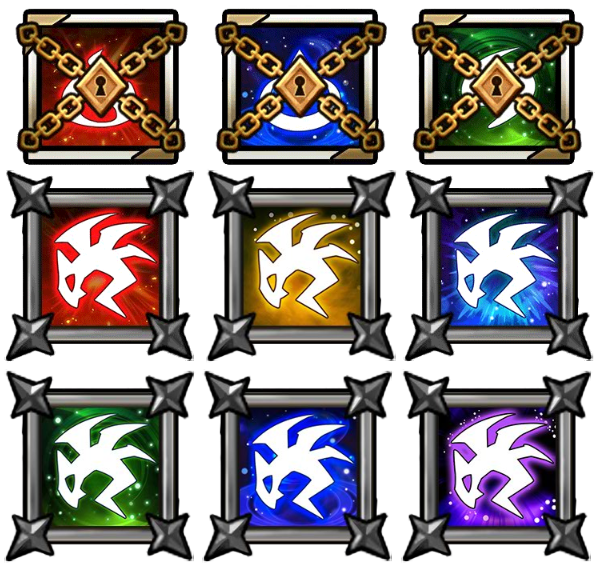 You would think the elemental warlords would increase the dmg output greatly of the corresponding elements but I guess not. 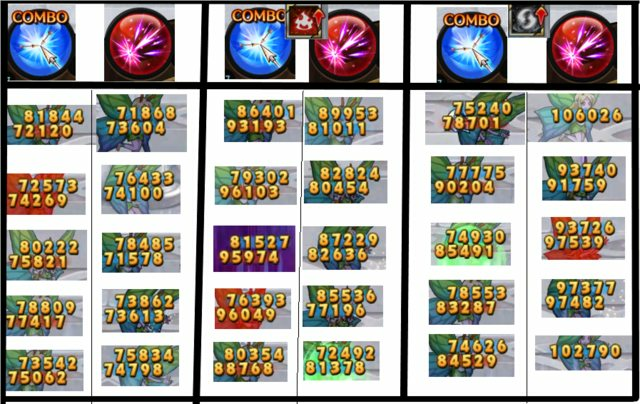 So maybe using certain warlords ( not for the elemental boost, but for the buffs ), and using a Lefiya or Patty with them might be better for dmg output. I.E. Running Fire quests, with a water elemental set, using time warlord let's say and throwing in a lefiya or Patty. Why is this not sticked? GIVE IT A STICK! NAW! All times are GMT-5. This page was generated at 04:02 PM.